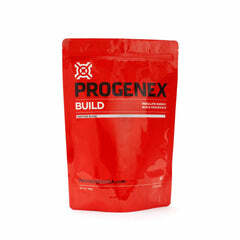 Whether you’re an avid lifter looking to increase your lean muscle, or a casual fitness enthusiast aspiring to look and feel your best, PROGENEX More Muscle is the product for you. More Muscle helps increase lean muscle so that you can lift more, build more, and burn more throughout your day. 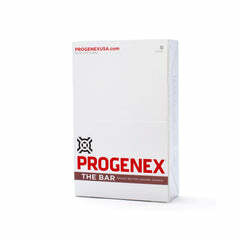 PRODUCT BEST USED: First thing in the morning, pre/post-workout or as a meal supplement. We’re with you; we know that dieting is hard enough as it is. Our delicious shakes help prevent you from cheating on your diet. Reward yourself with a product that delivers results and tastes amazing! Supplementing with whey protein significantly increases your resting energy expenditure after resistance exercise. English? You will burn significantly more calories after your workout is done compared to someone who doesn’t supplement with whey protein. 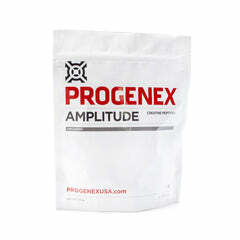 In this case, the smaller the protein molecules, the faster they travel to your muscles and the better the results. We use a hydrolyzed whey protein isolate, which means that casein, fat and lactose are removed before it is broken down for faster absorption. More Muscle is one of the most advanced and unique whey protein supplements on the market today and is key to realizing superior strength, size, and body composition gains. A recent study showed that participants who took a whey protein supplement compared to those who didn’t had significantly higher rates of resting energy expenditure—24 hours after a resistance exercise (the resting energy expenditure is the body’s calorie-burning rate when you’re not active). It’s been shown that an increase in this resting energy expenditure can facilitate weight loss and improve overall body composition. 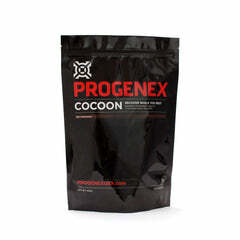 By taking PROGENEX More Muscle, you can ensure the best results in your strength building and weight loss. You already know that protein is key to building lean muscle. What you may not know is that not all proteins are created equal when it comes to building muscle. Why? Absorption. When it comes to protein molecules and the different amino acids like Leucine, Isoleucine, and Valine, size really does matter. Otherwise, any form of protein would accomplish the same goal—but it doesn’t. Research has shown that when proteins are broken down into their di- and tri-peptides they absorb more rapidly and efficiently. Whey protein alone provides sufficient amino acids but Leucine, in particular, is known to jump-start protein synthesis and increase work capacity and performance. When it comes to increasing energy, speeding recovery, stimulating muscle building, and achieving your best body composition ever, PROGENEX More Muscle shakes deliver MORE of everything you need. After an intense workout or resistance exercise, your body needs to recover and rebuild its muscles. Rapidly absorbing amino acids, Leucine, Isoleucine, and Valine, should be taken immediately post-workout and are essential for the recovery and muscle growth process. PROGENEX is the fastest absorbing and best whey protein hydrolysate on the market, which allows your muscles to recover to their baseline strength within hours, not days. It also helps you train harder and more frequently, which translates into better performance, more strength, more lean muscle, and less body fat. Significantly more enhanced than most protein molecules, the whey protein in PROGENEX More Muscle gets to your bloodstream—and hungry muscle fibers—fast! This speed is especially important when your muscles are experiencing a protein deficit, such as first thing in the morning, immediately after training or resistance exercises, and any other arduous stretches throughout your day. 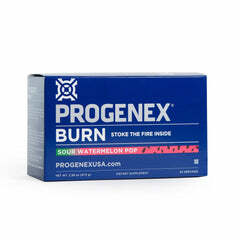 Begin taking PROGENEX More Muscle whey protein shakes during these critical times and start realizing superior strength, size, and body composition gains. More Muscle is one of the most advanced and unique whey protein supplements on the market today. It is specifically formulated for fast absorption and maximum uptake. It is manufactured in a two-stage process. The first stage isolates growth factors that can be found in early-stage cow’s milk, extracting and concentrating them using a unique proprietary process. The second stage microfilters and ultrafilters the cold-processed whey protein into high-quality whey protein isolates. Where most companies’ proteins end, ours is just beginning. Most companies only concentrate their whey protein to a lower-grade concentrate; we isolate ours, and then keep going. Our whey protein isolates are then enzymatically hydrolyzed. This hydrolyzation process breaks the isolated proteins down into peptides, including di- and tri-peptides, which are more rapidly digested and absorbed. Before we get to a finished product, the previously isolated growth factors are reintroduced into our whey protein. It doesn’t matter whether you’re looking to aid weight loss or take muscle building to the next level, everyone has one thing in common—the need for a high-quality, rapidly absorbing protein. 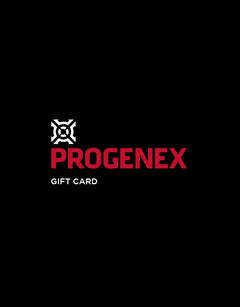 And PROGENEX More Muscle is the best whey protein supplement to take pre- or post-workout. This is the best tasting peanut butter protein of any brand! I typically stay away from the peanut butter flavored proteins but I gave this one a try and it is by far the best. Perfect amount of protein in each serving to help with multiple workouts a day. So I chose the auto renew option for the more muscle and let me just say it was a great option! Not only does the more muscle chocolate peanutbutter smash taste AMAZING I can definitely feel the results! I’m noticing less muscle fatigue and an increase in strength. Oh and I can’t forget, just when I think I’m out as I’m pouring my last scoop of goodness, my package of progenex and their auto renew option is in at my door step just in time! If you aren’t on this stuff, it’s definitely a product worth getting JACKED UP about! Love mire muscle! It’s a great iritein powder and helps my workouts a lot... only con fir me is that there’s way too much sugar in it! All of the more muscle flavors have from 5-9 grams per serving ... that’s a whole lot of sugar- way too much! It would much more healthful to the body with far less sugar. Why is there soooo much? Please lay least lessen the amount of sugar in your products!!! Or better yet- sweeten with maple syrup - a much more healthy alternative! 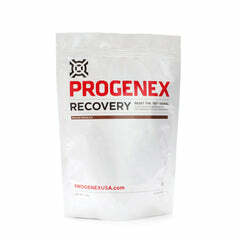 I’ve been using Progenex, more muscle protein for years now. I won’t switch to any other protein. I feel like it’s the only one that works for me. I enjoy the taste and I believe I have experienced beneficial gains while using this product.